Lovers of artisanal crafts and accessories, small batch skincare items, one-of-a-kind gifts and delightful tchotchkes will be in a shopper's paradise at NY Handmade Collective's (NYHC) "Ready, Set, Summer!" 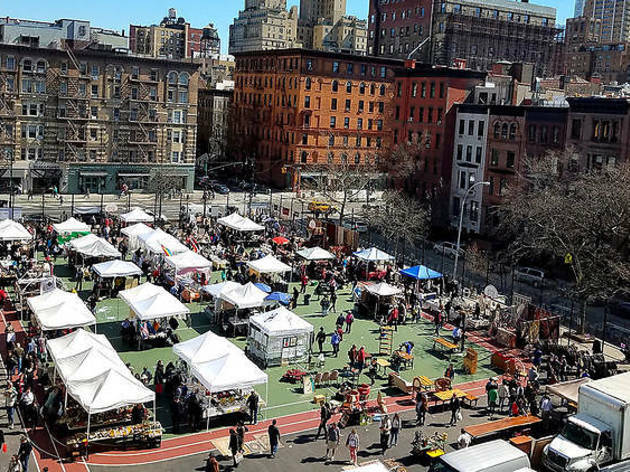 Formerly known as the ETSY New York Street Team, NYHC is bringing 40 New York area-based vendors from the online marketplace off the internet and into Grand Bazaar NYC this Sunday (May 21). At this pop-up within the massive 43,000-square-foot bazaar, shoppers can expect to find everything from fantastic stationary and hand-crafted jewelry to decorative fine arts. Vendors include specialized sellers like Junior Baby Hatter, a shop specializing in dapper hats for dashing tots; hand-crafted blends of herbal teas and vintage teaware from Flower Teas; and nautical-themed paintings and glass jewelry from a Studio by the Sea. For whimsical, Earth-friendly stuffed animals look for the hand-made from reclaimed-wool creations of Respoke Design, or—if it's art you're after—check out the vinyl records painted with iconic New York landmarks from NYC Vinyl Dreams. Many of the items are truly unique, so be sure to arrive early and act fast if you see something you like. "Ready, Set, Summer!" 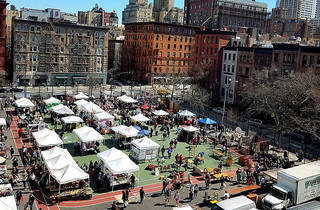 is a one-day pop-up at Grand Bazaar NYC, 100 W. 77th Street (grandbazaarnyc.org) on Sun 21, 10am-5:30pm. See the full list of vendors below.